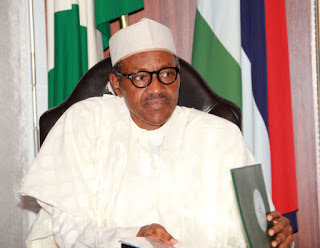 President Muhammadu Buhari, yesterday, defended the appointment of the Secretary to the Government of the Federation (SGF), Babachir David Lawal and five others. The president had appointed alongside Lawal, Alhaji Abba Kyari, Chief of Staff to the President; Col. Hameed Ibrahim Ali (rtd), Comptroller-General of the Nigerian Customs Service (NCS); Mr. Kure Martins Abeshi, Comptroller-General of the Nigerian Immigration Service; Senator Ita Enang, Senior Special Assistant (SSA) to the President on National Assembly Matters (Senate) and Hon. Suleiman Kawu, SSA to the President on National Assembly Matters (House of Representatives). The appointments, announced on Thursday, had sparked reactions, with reports of complaints in some quarters that they tilted in favour of the North. The Special Adviser to the President on Media and Publicity, Mr. Femi Adesina, assured Nigerians that President Muhammadu Buhari’s political appointments will balance out soon. Adesina spoke on a radio programme, Political Platform, on RayPower 100.5FM. “Nobody can fault the fact that the persons appointed were appointed on merits,” he said. “In terms of the spread, the President has prerogative to appoint and he knows there is federal character. I am sure that there will be balance in the future. “These are still early days. At the end of the day, we will have a balance. “By the time more appointments are made, it will balance out. The President is trying to get the very best of Nigerians. The issue of key positions and no key positions should not be the issue. In a similar reaction, the President’s Senior Special Assistant on Media and Publicity, Mallam Garba Shehu urged Nigerians to be patient with the president. “These appointments are just beginning. The ones down so far, apart from the security services, are mostly of people acting as unofficial advisers or staff of the President. “They are mostly men and women who have been doing things for the President and the positions are being formalised. “Statistically, the appointments don’t amount to five per cent of what is to come. There will be ministers, heads of government departments, federal boards and ambassadors. “At the end of the exercise, no part of the country will be left feeling left out,” Shehu said.